The Binos have appointed the former Loughborough Uni and Brisbane coach. Stirling Albion have appointed Stuart McLaren as manager, with Martyn Corrigan named as the club's new assistant manager. 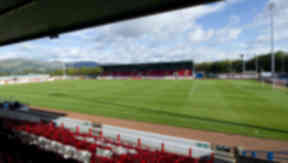 The 39-year-old has been handed the reigns at Forthbank following the resignation of Greig McDonald and Marc McCulloch two weeks ago. McLaren, a former Albion and Brisbane Strikers player, had been in charge of Loughborough University, also spending time coaching in Australia, but has now been tasked with lifting the League One outfit off the foot of the table. “We received more than 30 applications for the post and felt that Stuart was the outstanding candidate for the job," a statement from club chairman Stuart Brown read. “He has 10 years’ experience working as an assistant and head coach in senior professional clubs and elite youth development programmes in Australia and England and has a strong network of contacts in various areas of the game in the UK. “He holds a UEFA ‘A’ Licence and it was while doing his coaching badges at Largs that he met Martyn Corrigan. He has asked Martyn, who also holds an ‘A’ Licence, to be his assistant and he has accepted. “They have a strong mutual respect for each other and I am absolutely delighted to have on board their combination of skills and experience. 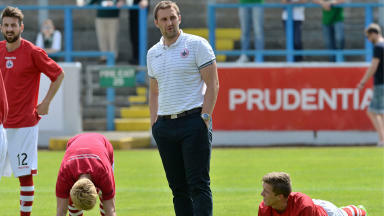 “All of the candidates that reached the interview stage were extremely well prepared and I extend my thanks to them, and indeed every applicant, for expressing an interest in becoming the manager of Stirling Albion. They have all been contacted to this effect, in advance of our announcing the successful candidate’s name. “I would also like to pass on my sincere thanks to Darren Smith and Ross Forsyth for taking charge of first-team affairs since the departure of Greig McDonald and Marc McCulloch a fortnight ago.